From the arrival of the First Fleet to the present, Irish immigrants and their descendants have been at the centre of Australian life. 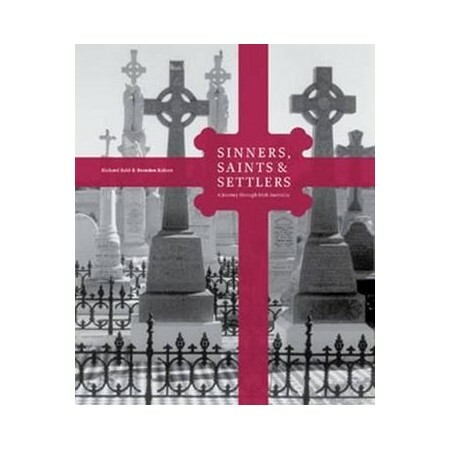 In Sinners, Saints & Settlers, author Richard Reid and photographer Brendon Kelson take the reader on a journey through the Irish experience in Australia, visiting locations right across the nation where the Irish story unfolds. The book concentrates on the period 1788 to 1921, when the Irish presence in Australia was proportionately at its most influential and visible. It spans the years between the Irish rebellion of 1798, which had a profound effect on the emerging colony of New South Wales, and 1921, the achievement of modern Irish independence. Richard Reid was born in Ireland, educated at Trinity College, Dublin, and came to Australia in 1972. His primary interests are in Irish and Australian history, especially the history of Australians at war, and he has published extensively on these topics. Currently, he is a senior curator at the National Museum of Australia, where he is preparing a major exhibition on the story of the Irish in Australia.